Mr. Stout handles employment and complex commercial cases. He focuses on high exposure litigation with an emphasis on trial practice. He is one of the most well-known trial lawyers in Kansas and has tried many of the region's high profile employment, environmental and commercial cases. His practice includes consultation on litigation problem solving and alternative dispute resolution. Mr. Stout enjoys Martindale-Hubbell Law Directory’s highest "AV" rating for lawyers. He has been selected by his peers for inclusion in The Best Lawyers in America®, the Missouri & Kansas Super Lawyers® list and Chambers USA as a leading general commercial litigation lawyer in the United States. In 2013, Benchmark Litigation named Mr. Stout a Local Litigation Star. 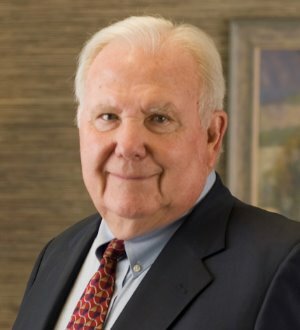 In 2012, he was named by The Best Lawyers in America® the Wichita Construction Lawyer of the Year. He has also been listed as a Top 100 Missouri & Kansas Super Lawyer®. Mr. Stout is a Fellow, member of the Board of Regents and Past President of the American College of Trial Lawyers and his peer memberships include the Kansas Association of Defense Counsel.